Gatha Janma Rahasya (Kannada : " ಗತ ಜನ್ಮ ರಹಸ್ಯ", "Past Life Secret") is kannada reality television series based on the technique of past life regression. 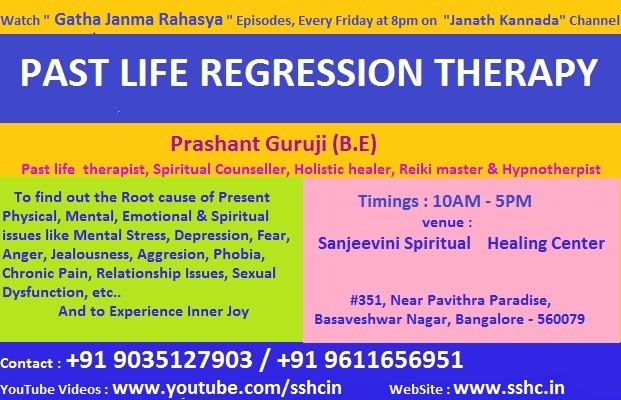 The JANATHA TV (formerly MyDreams Metro Channel) show is hosted by Anchor Prashant Hareesh, while the past life regression sessions are conducted by Bangalore-based spiritual healer Prashant Guruji. The first season started on Januart 16, 2015, was planned for a 20-episode run on Every Friday, 8.30 pm, by Janath Tv (formerly MyDreams Metro Channel) , got an extension of episodes, and Second season will start by January , 2016. The procedure as explained by show's therapist, Prashant Guruji, the patient are first taken into in a state of deep hypnotic trance and then supposedly 'taken back' into the past to know the reason for things that trouble them in this birth. Some of the events are dramatized as the participant narrates certain incidents, and in the end talks about the experience.